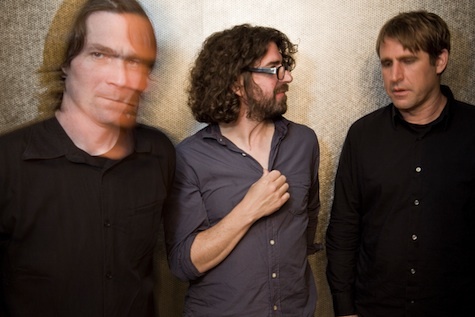 Sebadoh plays at Reverb Sunday night. Expect a mob scene tonight at The Barley Street Tavern for the Eros and the Eschaton show, which also features a solo version of It’s True — Adam Hawkins singing some of your favorites from year’s past. The Barley Street music room can get crowded simply when all the performing bands are in there at once, so yeah, it could get crowded. Best bet is to get there early for Gramps — the new-ish combo by Django Greenblatt-Seay of Love Drunk fame. Also on the bill is Charioteer. Four bands, $5, 9 p.m.
Also tonight, Buckhunter and M34n Str33t headline a night of electronic music at The Waiting Room that includes BOTH, Sharkweek, DFM, & Kethro. $8, 9 p.m.
Mitch Gettman and his band plays tonight at the Harney Street Tavern with Custom Catacombs. 9 p.m. and free. Meanwhile, at fabulous O’Leaver’s, The Electroliners will headline a show tonight with Boone, NC band Hedleg Husky and Kate Berreckman. $5, 9 p.m.
BTW, tonight also is the grand opening of Reverb, the new club owned and operated by One Percent Productions located just north of Jake’s in balmy downtown Benson. No music is scheduled, but the bar will be open starting at 4 so you can get a look-see. Tomorrow night Aaron Freeman, former lead singer of Ween, headlines at The Waiting Room with Arc Iris. $15, 9 p.m.
Over at the Barley Street Saturday night Travelling Mercies headlines with 24 Hour Cardlock, The Tinder Box and The Willards Band. $5, 9 p.m. It all leads to Sunday night and the kick-off show at Reverb (TWR Jr.?) featuring Sebadoh. Opening is See Through Dresses. Tickets are still available for $20, 9 p.m.
Also Sunday night, Slumberland Records artist Literature headlines at Sweatshop Gallery with White Fang, Nathan Ma & the Rosettes and Eric In Outerspace. $7, 9 p.m. Finally, our old friends The Dandy Warhols are headlining at The Waiting Room (TWR Sr.?) Sunday night with Bonfire Beach. $20, 9 p.m.
Did I forget your show? Put it in the comments section. Have a good weekend.